A Blue Marble Must ‘Sea’! With coloured stone on trend, and on our minds, we were in absolute awe coming across this natural stone beauty. 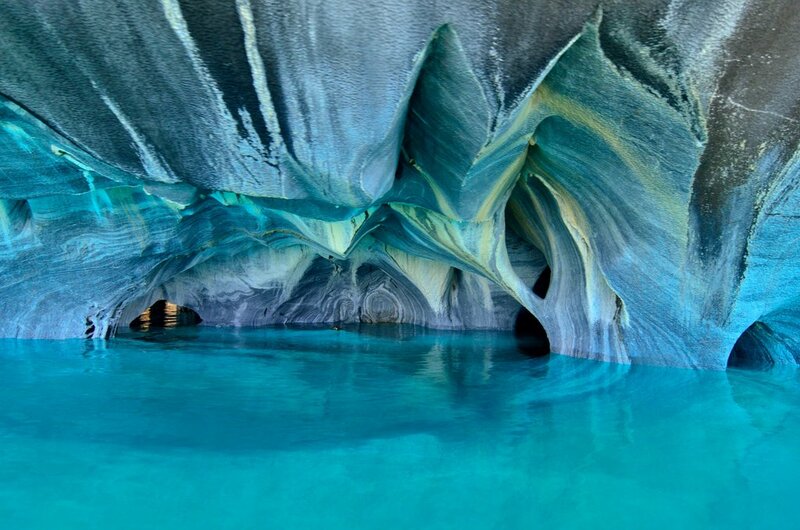 Blue marble with hints of green, border these stunning caves in Chile. The next place to add to your bucket list: Patagonia, Chile. 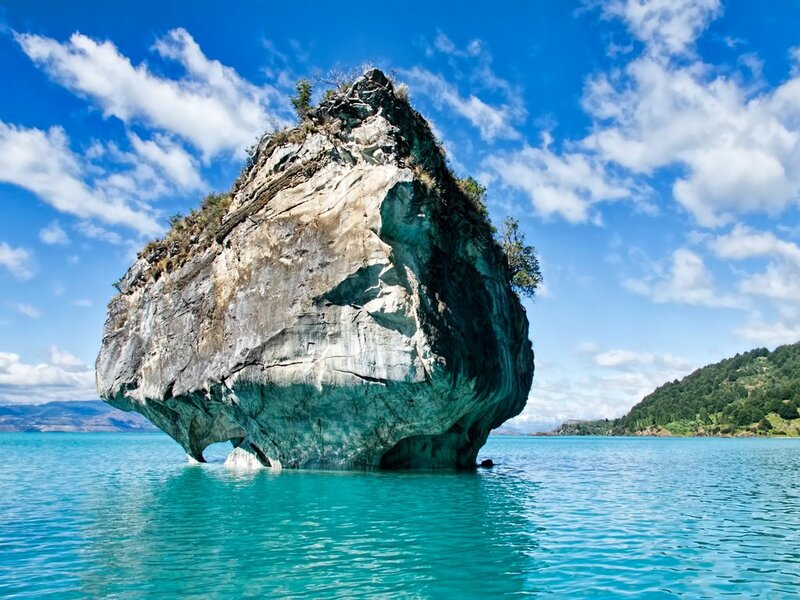 In a freshwater glacier lake called General Carrera Lake stands a peninsula of marble caves called Capillas de Mármol. The natural wonder has multiple names, including the Marble Cathedral and Cuevas de Mármol, but visitors can agree that the magnificent site is worth the trip. The carving of the caves is a result of glacier movements millions of years ago. 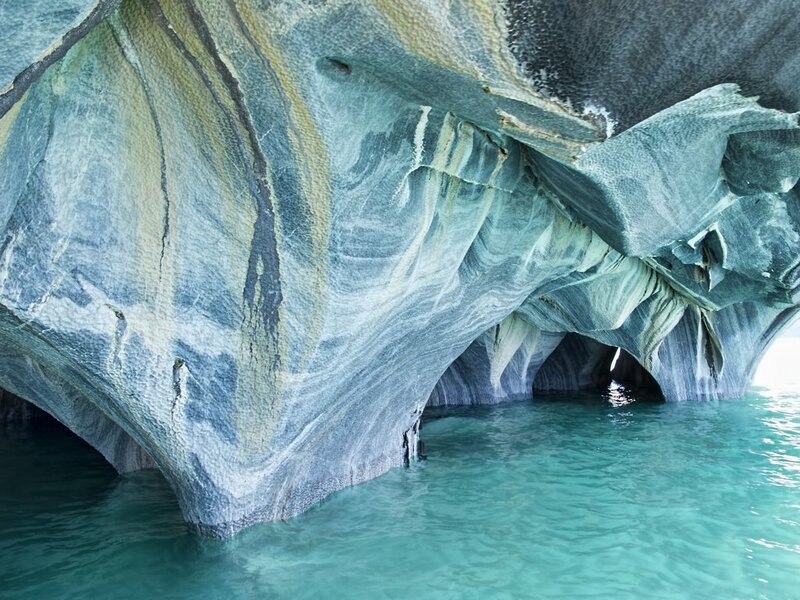 Reflecting the icy blue waters of the lake that’s shared by Argentina and Chile, the solid marble caves look almost unreal because of their swirling colours. The intensity of the walls change by water level and depending on the time of year. The journey to get to these caves isn’t the easiest, however. After flying into Santiago, Chile, an additional 1,287-km flight to Coyhaique and 321-km drive on rough roads are required. You’ll then need to take a ferry to the actual site. There are several combinations of transport you can take to arrive at the destination, including tours that can guide you the whole way. Regardless of how long the trek is, you’ll want to go through all that travel after seeing the photos ahead. Check another blog post of ours here discussing the resurgence of green and blue marble. 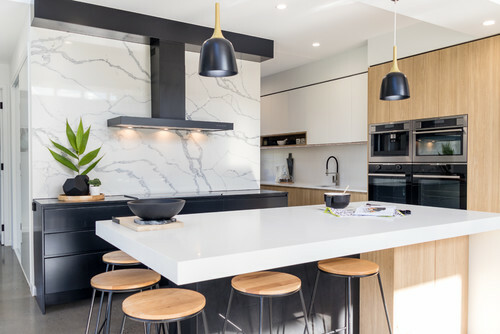 In this article, it was predicted at Milan’s Furniture Fair 2018 that coloured marble will be making a big come back. https://victoriastonegallery.com.au/cms/wp-content/uploads/2017/11/Blue-Marble-Caves-Chile1.jpg 678 1024 victoriastonegallery victoriastonegallery https://victoriastonegallery.com.au/cms/wp-content/uploads/2017/05/icon-white.png victoriastonegallery victoriastonegallery2017-11-01 16:54:202017-12-05 16:44:38A Blue Marble Must 'Sea'!